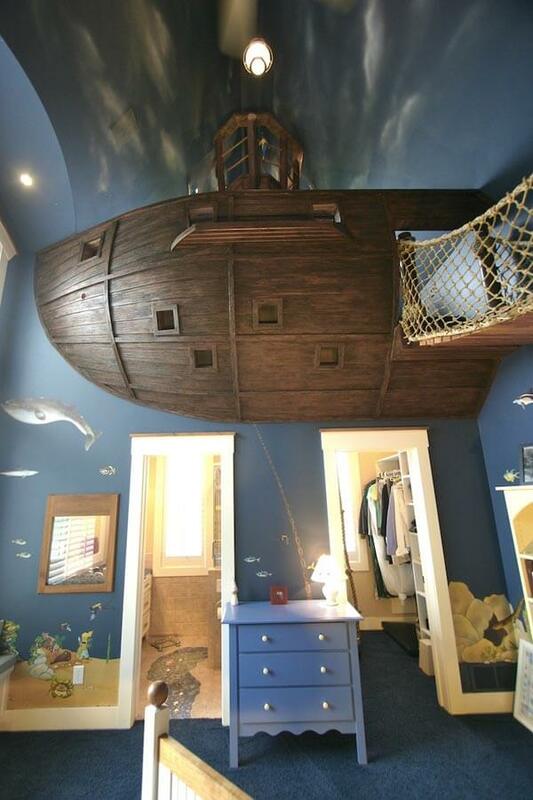 You’re kid or ma be you are fascinated by the stories of treasures and pirates and you collect all kind of stuff for making your room to be like a pirate ship, or to create a world of adventure and joy well the Khul Design Build did make an amazing project which will make your dream come true.Below you will see an example of a bedroom in a pirate style ship created for a six year old kid who wanted a pirate ship in his room. Love it. I would love to live in such bedroom.